Olivebridge Cottage is an immaculate and bright two-story rental home designed by Daniel Kanter of Manhattan Nest that invites comfort and exudes modern elegance. With 3 bedrooms, 2 full baths, generous living space and stylish finishes, it's the perfect setting for a relaxing weekend in the Catskills. Natural light flows through its open, airy layout. Other special highlights include large windows overlooking the woods, high ceilings with wooden detailing, chic recessed lighting, AC, and ceiling fans. Check out our Airbnb listing. Read, nap or hangout with friends. Wake up surrounded by trees. Prepare a feast for friends of just a little snack. Tinker street* is a picture, ad and art agency that manages Instagram influencers from around the globe and collaborates on projects for large brands such as Adidas, Apple, Microsoft, British Airways, and Comcast. Three Tinker street* photographers, Sam Horine, Lisa Weatherbee and Tyson Wheatley, stayed at Olivebridge Cottage while attending a concert at BSP, a music venue in Kingston, NY. Click here to read the blog post about their stay at Olivebridge Cottage. The Cut is a subset of New York Magazine focused on fashion and design. In the article "A Country Cottage Gets a Second Life As an Elegant Rustic Vacation Home," Wendy Goodman tells the story of how the owners of Olivebridge Cottage, with the help of Daniel Kanter, turned a Catskills cottage into a two-story upstate-getaway home. Click here to read the article and see the slideshow. Sophie Chan Andreassend is a travel enthusiast from Auckland, New Zealand who has lived in Australia, Bali and London but calls New York city home. 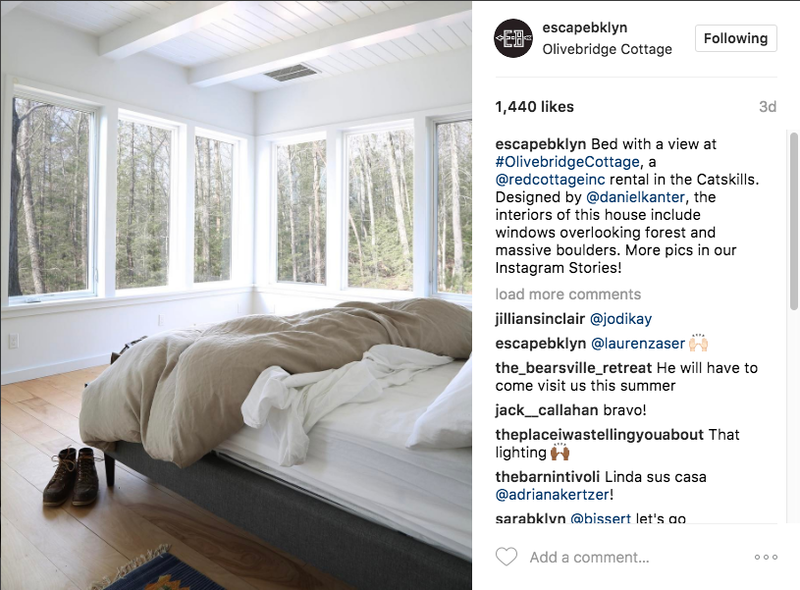 In her blog, Sophocles, she called Olivebridge cottage "the perfect getaway from the high rises of Manhattan." Click here to read her post. Nicholas Doyle is a New York City based photographer specializing in interior, architecture, and food photography. 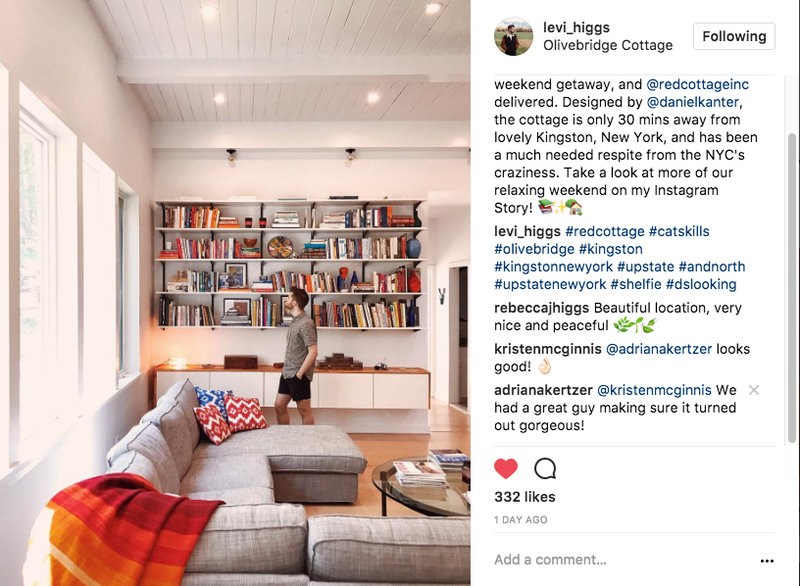 After his May 2017 visit to Olivebridge Cottage, Nicholas featured his stay on his blog and called it a "slice of nature and a slice of design on the same plate." Click here to read his blog post.